Checking for gum disease, or periodontal disease, is one of the most important screenings your dentist can provide. Without healthy gums, the chances that your teeth will stay healthy for long drop significantly. Gum disease can lead to a host of other problems, up to and including tooth loss. Watch this video to see how simple a gum disease screening really is. As you’ll see, screening for gum disease is neither painful nor invasive. Your dentist uses a simple probe to measure the space in the pockets of your gums, and only goes just until he or she feels resistance. This process is extremely valuable in determining the best options for your optimal oral health. If you’re past due for a dental exam and gum disease screening, or if you’re looking for a periodontist in Hazlet, come to Glenwood Premier Dental . We offer the latest in dental care and technology to give you the healthiest smile possible. Call (732) 847-9039 today to schedule an appointment. When it comes to orthodontic options for adults, Invisalign has taken the field by storm. The convenience, comfort, and discretion it affords, combined with its incredible efficacy, make it easy to see why patients love it so much. Some people, however, never ask their dentist about Invisalign because they believe their case may be too complex for it, or that they are otherwise somehow not a good candidate. The good news is that modern Invisalign treatment can address a variety of malocclusions. Gaps between your teeth can create several oral health concerns, from discomfort while eating to difficulty maintaining proper and through hygiene habits. They can lead to gum tissue damage or periodontal disease since there is nothing to protect your gums from the impact of food in the gapped areas. If you have gaps between your teeth, you may be a good candidate for Invisalign treatment. 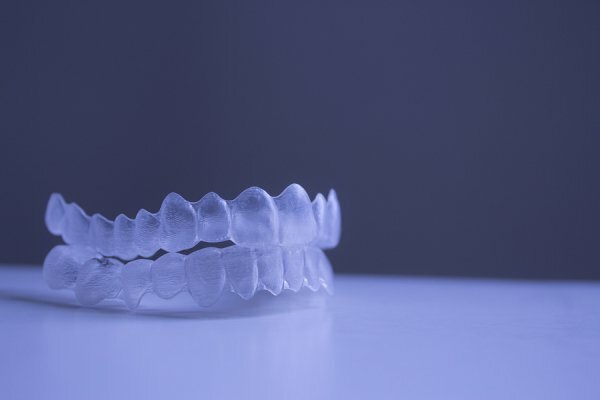 Many types of misaligned bites are currently treatable with Invisalign , provided there are no other major concerns that would complicate your treatment. Open bites, crossbites, overbites, and underbites can all be addressed. It’s important to correct bite problems because of the unnatural wear they can cause on teeth and the extra strain they may place on the jaw muscles. Overcrowding of teeth is a problem because of the challenge it creates in terms of proper brushing and flossing. Patients with crowded smiles are much more likely to develop tooth decay and gum disease. This tends to be a progressive problem that worsens the longer it goes untreated. Fortunately, Invisalign can help in many cases of tooth crowding. For more information about Invisalign near Hazlet, or to schedule an appointment for a consultation, contact us at Glenwood Premier Dental by calling (732) 847-9039. You may also browse our website for a wealth of information and resources about the dental services we provide and what you can do to take charge of your oral health. Proper dental hygiene is linked to many different factors, some of which are uncontrollable. Fortunately, the dental staff here at Glenwood Premier Dental can reverse the effects of poor dental hygiene and restore your smile. Glenwood Premier Dental is committed to restoring your teeth to their original form and function so that you can enjoy a healthy and confident smile. Our team is qualified to perform a number of different procedures such as fillings, crowns, root canals, and dentures. We also provide cosmetic dentistry services that can make your smile bright and beautiful. If you are interested in restoring your smile at Glenwood Premier Dental in Hazlet please do not hesitate to call us at (732) 847-9039. Feel free to stop by our office and meet with us or visit our website if you would like to learn more about our services.